From 1 December on you have the chance to visit the highest ice hockey track in Amsterdam. Floor17 will turn their rooftop into an ice skating paradise where you can play ice hockey and curling with a fine view over the city. 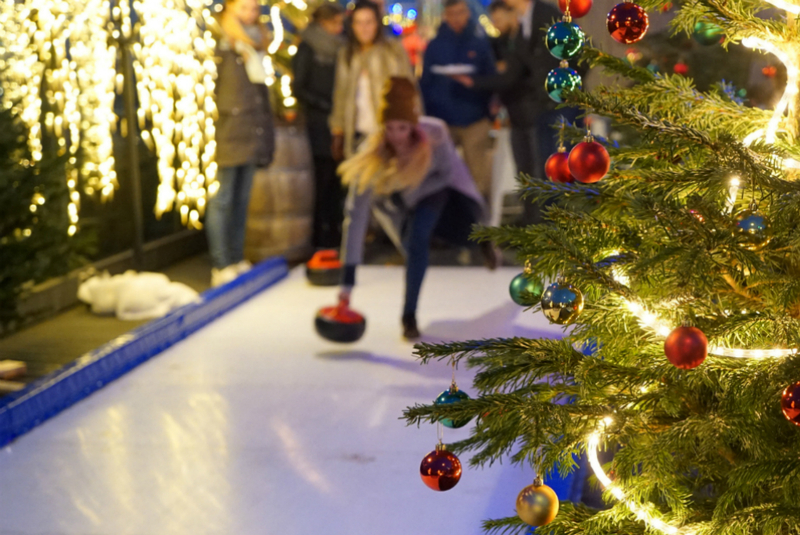 An evening of Curl & Skate at Floor17 goes hand in hand with delicious food and of course, gluhwein and hot chocolate to keep you warm! To get access to the ice skating track you can reserve your one hour spot for €60. This amount will be usable as credit for food and drinks at the Rooftop Terrace Bar during the game. The restaurant also offers an exclusive Curl & (Sk)Ate menu. The chefs will get creative with seasonal and local products to serve you the best tasting dishes of this season. It is even possible to rent out the entire rooftop for private events. The perfect place for a birthday party or fun night out with the company! On Sunday 16 December an ice hockey and curling tournament will take place. You can register with two people for € 10, – per team. Get ready to battle and win one of the great prizes! If you can’t make the tournament in December, you’ll have another possibility to join in on January 11, 2019. In combination with a New Year’s drink, this will be a great way to start off the new year! Reservations can be made via the Floor17 website. Thursday - Saturday 12:00 – 10:00 p.m. Sunday - Wednesday 17:00 p.m. – 10:00 p.m.